At Hob Hill Primary School we aim to create a stimulating, language-rich, learning environment in which children are actively encouraged to enjoy books, and are motivated to want to read independently from an early age. We believe that pupils should be taught to read effectively for different purposes, acquire key phonics skills and understand the rules governing the structure of language. Children are taught to read in the Foundation stage using letters and sounds. They are introduced to 'Letters and Sounds' (Phases 1-3) throughout their time in Foundation Stage, which will give them good foundations for learning to read. The Reception high frequency words are introduced alongside reading books for children to develop a good sight vocabulary. We aim to provide continuous opportunities to apply new phonic knowledge and integrate phonics in to our play on a daily basis. From the Spring term onwards, Reception children participate in guided reading sessions once a week, building up to twice a week in the Summer term. Teachers continue to build on the children’s reading skills by modelling good reading and teaching the remaining phases from Letters and Sounds. Children are given opportunities to read for pleasure and participate in regular whole class reading lessons. A range of fiction, non-fiction and poetry is taught and texts are carefully chosen to link with children's topics. Children are taught specific reading skills using the VIPERS approach: Vocabulary, Inference, Prediction, Explanation, Retrieval and Sequencing. Teachers identify any children who may require additional phonics teaching and continue this where appropriate. The majority of children follow a spelling scheme aligned to the National Curriculum which teaches spelling families and rules. Children are given opportunities to read for pleasure and participate in regular whole class reading lessons. A range of fiction, non-fiction and poetry is taught and texts are carefully chosen to link with children's topics. 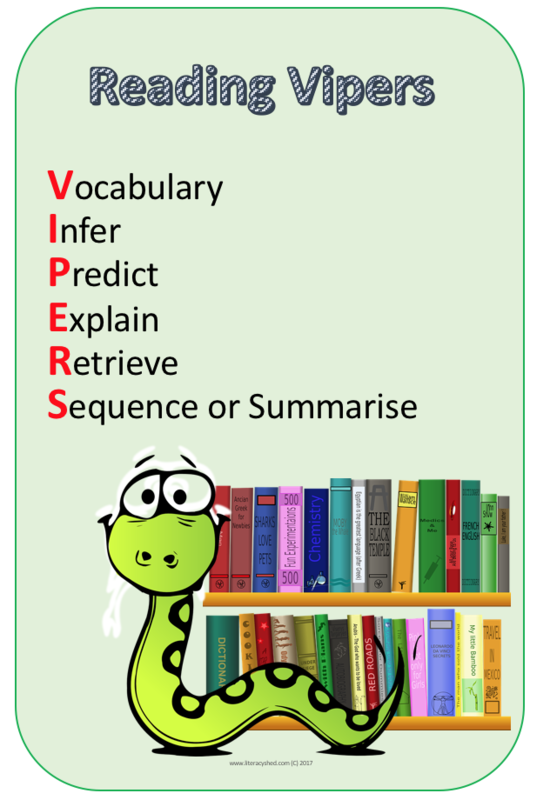 Specific reading skills are taught three times a week using the VIPERS approach: Vocabulary, Inference, Prediction, Explanation, Retrieval and Summarising. There are over 200 free e-books on the Oxford Owl website, along with guidance for parents on helping their child to read. Click the image to visit the website. The core reading scheme is Big Cat Literacy. This is supplemented by other schemes to develop children’s reading skills. Such schemes include provision to support reluctant readers, higher achieving readers and engaging boys in reading. Books are chosen at the appropriate level for the children. Children in the Foundation Stage and Key Stage One read their reading book once a week to an adult in school. 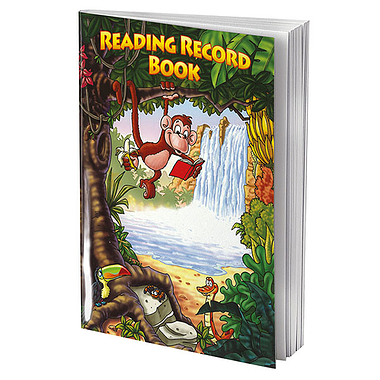 Parents are actively encouraged to read daily with their child, recording comments and signing the Reading Record. Children are encouraged to choose a library book in addition to their reading book. Please do not hesitate to speak to your child's class teacher if you require any further information regarding Reading or Phonics. At Hob Hill our children have access to a lovely library! They are given a set day to choose reading books from the library and we see this as a very important way in which to develop independent reading. The library is also used across the curriculum for research. Identified children are withdrawn to receive extra phonics support using Nessy and other intervention programmes. Progress of groups is monitored on a regular basis and targets are identified for individual Student Support Plans (SSPs) where necessary.